Abstract: Traffic in metro area network (MAN) is predicted to increase 560% by 2017 at much faster growth rate than the backbone. Bandwidth-hungry inter-data center networking and front/back-hauling of mobile and M2M will be the main source of the traffic growth. Suppose that in MAN the underground duct is almost full, and there won’t be any room available for installing a new fiber cable. Since the construction of new ducts will prohibitively cost high, only a solution to the capacity crunch would replace existing single-mode fiber (SMF) with the larger transmission capacity fiber with the same size as the SMF and exploit space division multiplexing (SDM). In this talk, a deployment scenario of mode division multiplexing (MDM) in MAN using a few-mode fiber (FMF), the author’s invention in late 70’s and a novel mode-unbundled reconfigurable add/drop multiplexer (ROADM) are presented. The mode-unbundled ROADM features the finer data granularity than the super-channel counterpart. Next, by taking advantage of the FMF deployment in MAN, MDM is also introduced to W-band digital coherent MIMO radio-over-fiber (RoF) system to enhance the space efficiency of the transmission capacity of mobile front/back-haul. 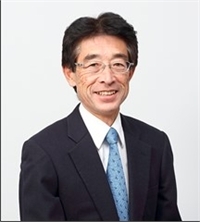 Biography: Dr. Ken-ichi Kitayama is a professor of the Department of Electrical, Electronic and Information Engineering, Graduate School of Engineering, Osaka University, Osaka, Japan since 1999. He received the B.E., M.E., and Dr. Eng. degrees in communication engineering from Osaka University, in 1974, 1976, and 1981, respectively. In 1976 he joined the NTT Laboratories. In 1982-1983, he spent a year as a Research Fellow at the University of California, Berkeley. In 1995, he joined the Communications Research Laboratory (Presently, National Institute of Information and Communications Technology, NICT), Tokyo. His research interests are optical packet switching, optical signal processing, radio-over-fiber (RoF) system, and the next-generation optical access systems such optical code division multiple access (OCDMA). He has published nearly 300 journal papers, written a book, “Optical Code Division Multiple Access -A Practical Perspective-“ (Cambridge University Press, 2014). He holds more than 40 patents. He is currently serving as the Associate Editor of IEEE/OSA J. Optical Communications and Networking (JOCN). He is the Fellow of IEEE.